Okay guys. 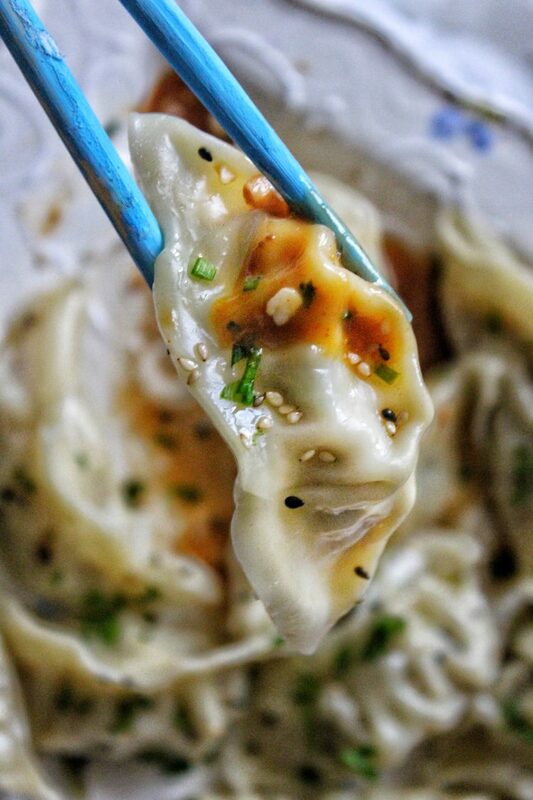 This maybe wasn’t such a good idea but I don’t want to discourage you from attempting to make your own (supposedly easy) Chinese dumplings. Think of these as a culinary challenge to your dexterity and patience. 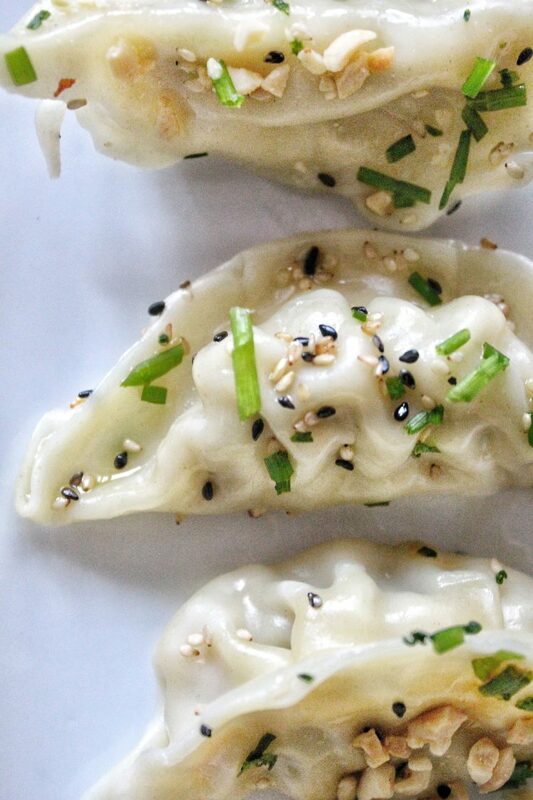 Have you ever watched professional chefs make dim sum dumplings? Truly an art. 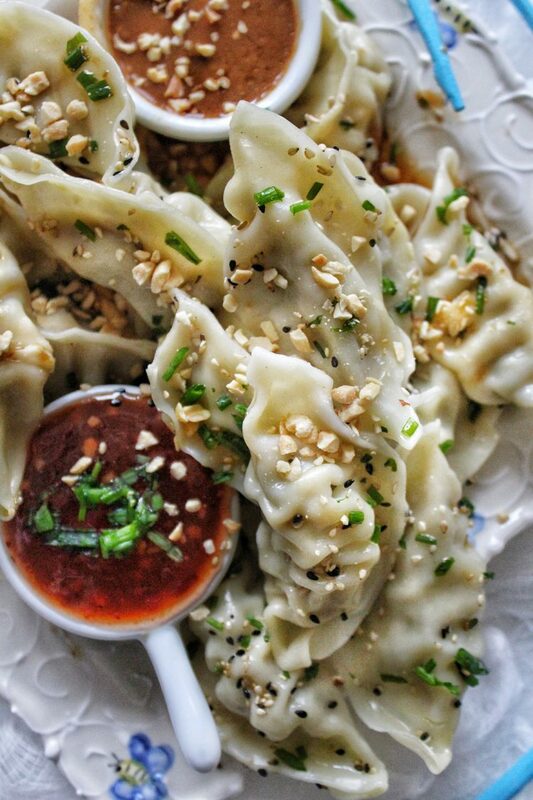 They take the dough, stuff it, seal it and steam the dumplings efficiently. 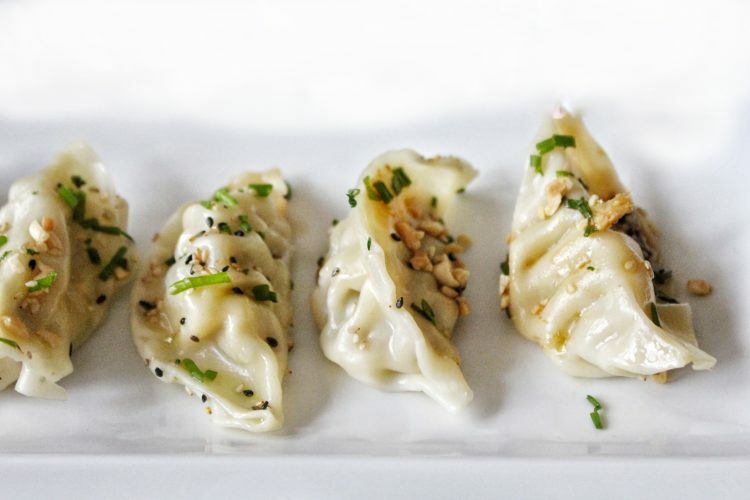 Within seconds, they have mastered hundreds of precisely made dumplings. That being said, they do this for a living. Day in and day out. THEY ARE DUMPLING MAKERS. I didn’t feel like making my own dough. Already, that’s a problem and classified as a cop out for authentic dumplings. Although I’m pretty good with my hands, the majority of these SO CALLED dumplings fell apart as soon as I steamed them. Not pretty, not pretty AT ALL. I ate the ones that fell apart so no one would witness aftermath of the exploded dumplings. Not a great idea since I was trying to hide the disaster and therefore couldn’t eat dinner seeing as I WAS STUFFED to the gills with dumplings. A full out giveaway that “something went awry” with my experiment. I came to the conclusion that it’s much easier to go out for Dim Sum and I plan on doing that in the future. Have I scared you enough to look away from this blog post? The truth of the matter is, practice makes perfect and the next time I tried making these I used yoga breathing to get through the process and they were STELLAR. almost forgot something. The dipping sauces. I wanted to make MY own and I did. What I didn’t do was write down the recipes for each one. Brilliant right? I’m going to do my best to remember what was in them but just in case I forgot an ingredient please forgive me. I’m blaming it all on the dumplings. Whisk all ingredients and serve. 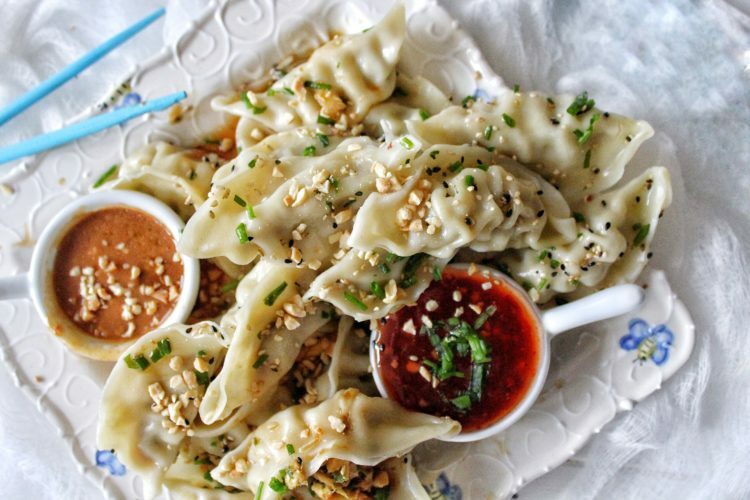 1) In a small microwave-safe bowl, add hoisin sauce, oyster sauce, 3 tablespoons of water, peanut butter, and sriracha ketchup. Mix to blend ingredients. 2) Microwave on high for 20-25 seconds. Remove from microwave, and use a fork to combine ingredients together. 3) If sauce is too thick, add 1-2 additional tablespoons of water to achieve a thinner consistency. 4) Sprinkle with chopped peanuts. Serve as dipping sauce. 1) Combine water, rice vinegar, sugar, garlic and chili flakes in a small sauce pan. Heat over medium heat, stirring constantly to dissolve the sugar. 2) Bring to a slow simmer and cook for 5 minutes, keep stirring so it doesn't scorch. 3) In a cup or small bowl, make a slurry of the cornstarch and ⅛ cup water. 4) After the sauce has simmered for 5 minutes, slowly pour in the cornstarch mixture. 5) Bring the sauce to a boil and cook gently for 1 minute, stirring constantly. 6) If the sauce isn’t as thick as you want, boil for another minute or so. 7) Serve as dipping sauce.